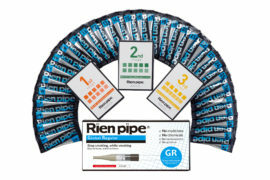 No-nicotine, Stress-free quit smoking program.With the Rien Pipe program, you simply use a numbered system of cigarette attachments (or "pipes"). 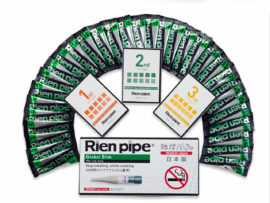 Rien Pipes are numbered from 1-31, each with a micrometer-scale hole that gradually cuts the amount of nicotine that you inhale with each cigarette by around 3% each day. On Day 1, you will use pipe No. 1. By Day 31 (pipe No. 31), nicotine intake is cut up to 95% -- weaning you gently off this addictive chemical found in tobacco. 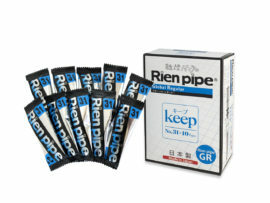 Kit contains: 31 Rien Pipes, guidebook, booklet (English versions)NotesThe Global Regular version of Rien Pipe, intended for cigarettes with diameters of 7.8 to 8.0mm.NOTE: If you use slim cigarettes, please choose the Global Slim version.Not sure about the cigarette diameter?Download a free PDF tool here to check before you buy.